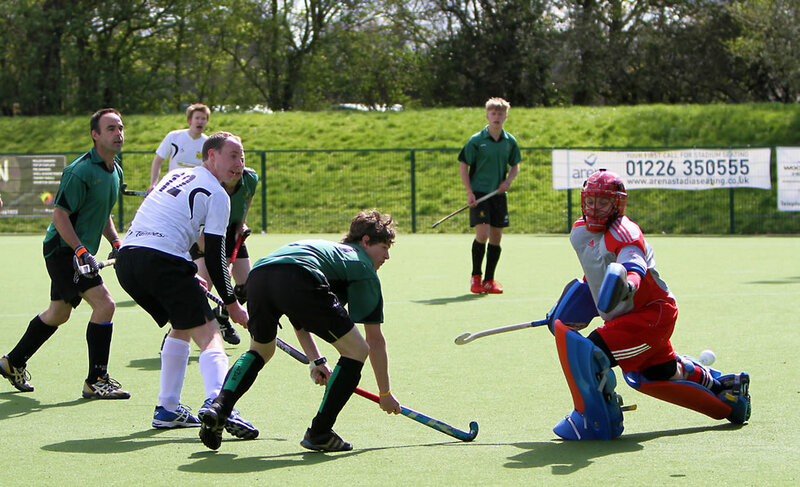 Considered by many who understand the importance of the playing / social balance to be "the best hockey club in the East Midlands"
Sunday 15th April was a typical Spring morning, sunny but with a biting wind. I picked up Bob, Andy and Simon at the Clubhouse at 9 and we set off for what was to be one of the finest days for the Club in its history. I was feeling fairly nervous and quite drained after the Club Tournament the day before as that was a special day and very emotionaly charged. I knew that the 2s were the best 2nd team we had ever had, but there is always the feeling that despite us doing well in National Competitions in the past we tended to fall at the last hurdle, always the plucky losers. Who were we anyway, an unknown Club from somewhere nobody had heard of? Well excuse me... at the beginning of the season I had dragged my plastic boot down to watch the guys play Beeston, and we were brilliant, pace, skill, determination, intelligence, we had it all, and Beeston were truly outclassed. I knew then that something special was going on. And it did go on, right across the Club, all season. The journey to Cannock was completed on autopilot having been made so many times in the past for epic battles with a Club with whom I have had a personal love hate relationship. Certainly a Club against which Bridgford can be seen to have advanced over the years, a datum point for us if you like. We were slowed slightly by an accident on the A5, but a quick detour got us there in time to meet up with the other Club faithful, umpires, parents, sons, grandparents, wives, girlfriends and babies that form the Club infrastructure that is so important. Tensions were high as was speculation, for phone messages had been pinging about concerning lost or mislaid astro trainers, and a call had been made for the chap who runs the Cannock Sports Shop (cubicle) to open up and sell us a pair of size 7s. In the event that was just another facet to the rich tapestry that was being played out. 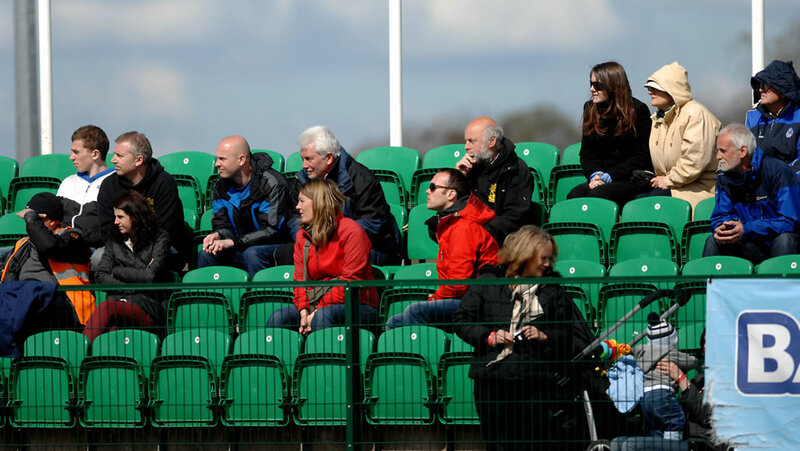 We paid our £6 each entry fee (£3 parking) and got huddled together in anticipation as the teams were led out and presented much as Premier League Football, but without the children holding our hands. We cheered as the players were introduced, but this tailed off after the first 6 names as we got bored. Here are the Bridgford "massive", looks warm but wasn't. The match started with Bridgford looking slightly nervous, and in fact both sides struggled to get to grips with the bouncy surface. Early on JPR had a sniff of a chance that went wide and the Lewes keeper made a couple of good saves, but we looked to be worrying the Lewes defence more than they worried us. Both sides had a couple more chances in the half but you can tell when sides are under pressure, they play down the left flank too frequently, and that is what both teams tended to do. After half time things improved, Ben and Dan played more decisively down the right flank, allowing us to dominate most of the play. Lewes had no option but to rely on the counter break, but Rob was immense at sweeper and they were not able to get much pressure on Atish who was not going to be beaten under any circumstances. As the pressure mounted on Lewes a few of their players started to show cracks, with a yellow card for "wrestling" being the result of a particularly nasty couple of tackles from the left back, nicely pointed out to the umpire by us and Pete Fenton who supported and advised the officials at appropriate moments during the game! Sam sniped down the left, seemingly losing the ball to the "wrestler", but Tim pounced on an error and drove into the D, releasing the ball to Will who reacted brilliantly to deflect the ball past the despairing left hand of the Lewes Keeper. That goal looked fairly golden to me. Game over, we had only gone and done it. The best 2nd Team in the country, NO ARGUMENT. Fenters went to get the champagne, the rest of us went bananas. 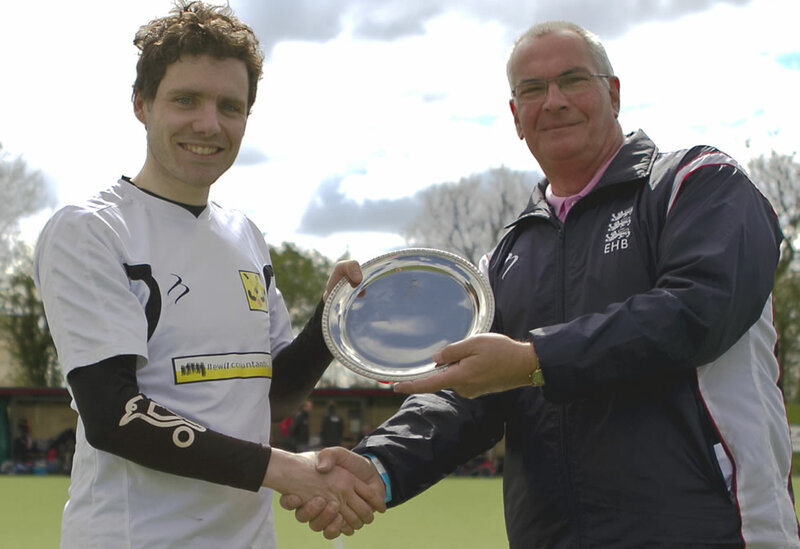 Nick Robinson accepts the Trophy (plate), the culmination of a brilliant season as captain. Well done Nick. 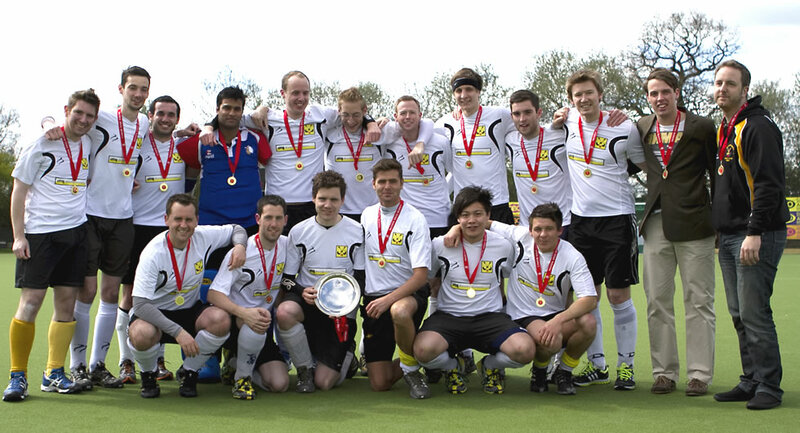 The winning team supported by Chris and Tom. Nice gold madalions. So as the dust and adrenaline settle all that needs to be said by me is "well done" to Nick and the team and Chris and Tom for supporting and managing the logistics on the day, well done and thanks to all the players in the squad who played during the season, a number of whom could not be there as squad size was limited on the day, thank you to the supporters, family and friends who provided that special "lift", thank you to Simon Cooper for the brilliant camera work and thank you to the umpires Pete, Jez and Andy who played an important role during the season (and on the day Pete). You don't get to be "best in the country" by chance, the successes throughout the club this season have been built on firm foundations, our determination to maintain grass roots hockey through junior development, player retention and social cohesion have paid off, thank you all for being part of that. Always more than a sum of the parts.